The newly crowned Miss Universe did not disappoint during her latest TV guesting. While many weren't quite amused with Miss Universe 2015 Pia Wurtzbach's answer during the pageant's Q&A, including presidential candidate Sen. Miriam Santiago, her confident response no doubt played a part in her historic (and controversial) triumph. 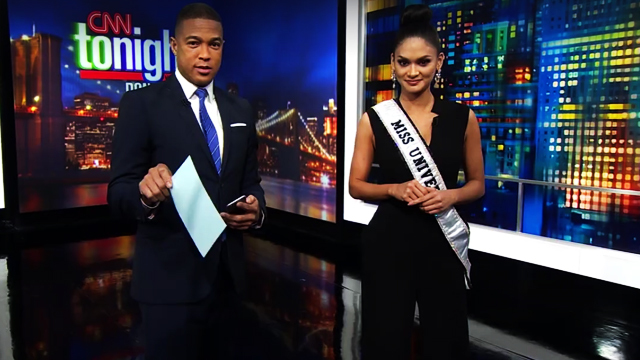 A day into her reign, Pia had another crack at the ever-unpredictable pageant questions during her appearance on CNN Tonight with Don Lemon. She was asked to answer as many traditional pageant questions as she can in 45 seconds, in just one of her many talk show interviews since her coronation. 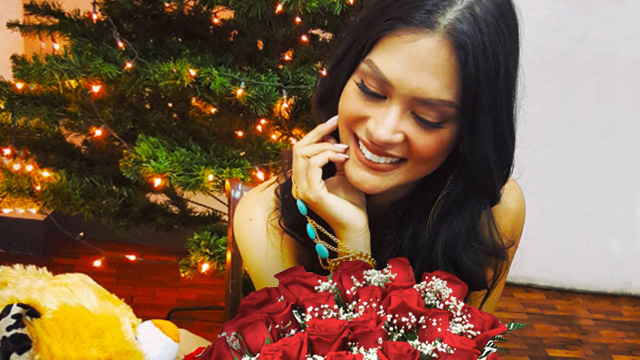 Pia had already done her "Final Walk" on Live With Kelly And Michael and shared her thoughts on issues surrounding her win on Umagang Kay Ganda and Good Morning America. Going back to the quick-fire question-and-answer portion, Pia might've started off slowly, but the newly crowned Queen was able to finish strong, responding sharp and shrewd. She's truly the epitome of Pinoy beauty and brains.